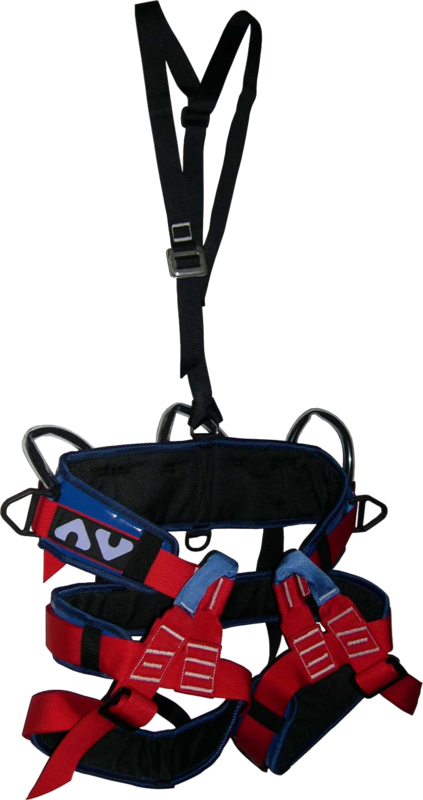 Work support belt EN 358 - EN 813 in the shape of a sit harness. 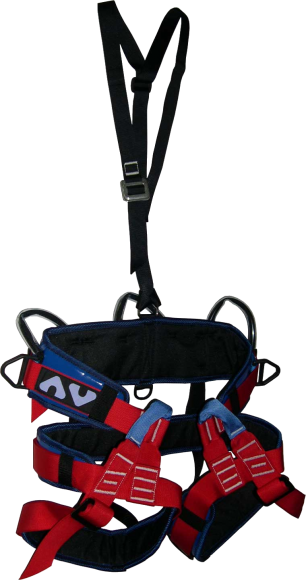 Webbing for waist band, seat, and thigh loops totally adjustable by steel ladder lock buckle. 2 steel triangles (side positioned) for use of a holding lanyard. Wide padded belt reinforcement with 3 sheathed gear loops, seat and thigh reinforcement for greater comfort. Delivered with a small quick tightening shoulder strap. A very high abrasion resistant webbing, with special weaving. 2 lower tie-in points for an efficient use in technical caving lift.